Sorry, but I couldn’t resist cashing in on the British Establishment’s ongoing obsession with expired livestock with a cheap headline of my own! 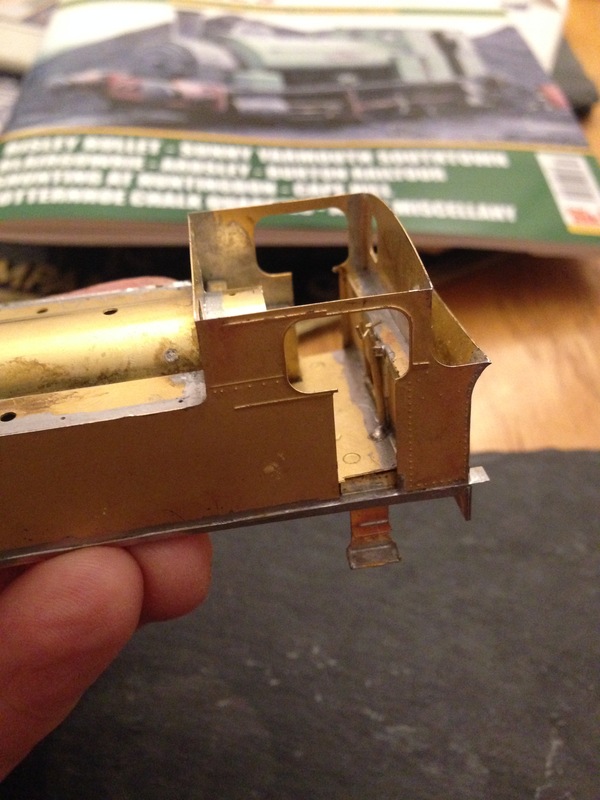 Last year I purchased the High Level Models kit for the Barclay 0-6-0 side tank loco and though I still have the 72 and 300 class locos to finish, I really wanted to get stuck into an etched kit as a change from the old cast clunkers and to have a short break after completing a couple of things for others. Three nights work has got us to the stage seen in the images below. I have to say that so far, this kit has been a delight to build, being both well designed and well produced. 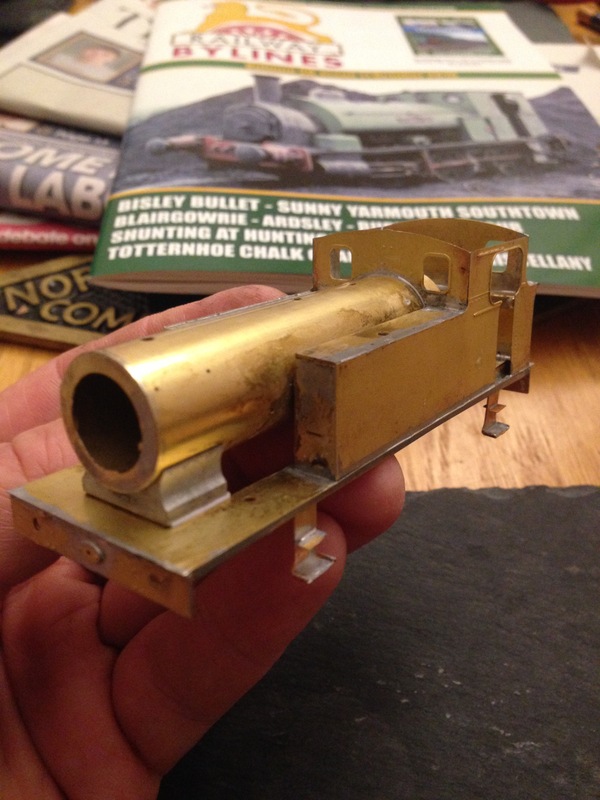 The locomotive superstructure is made of etched brass with smaller fittings of cast brass and white metal/pewter for the heavier castings. 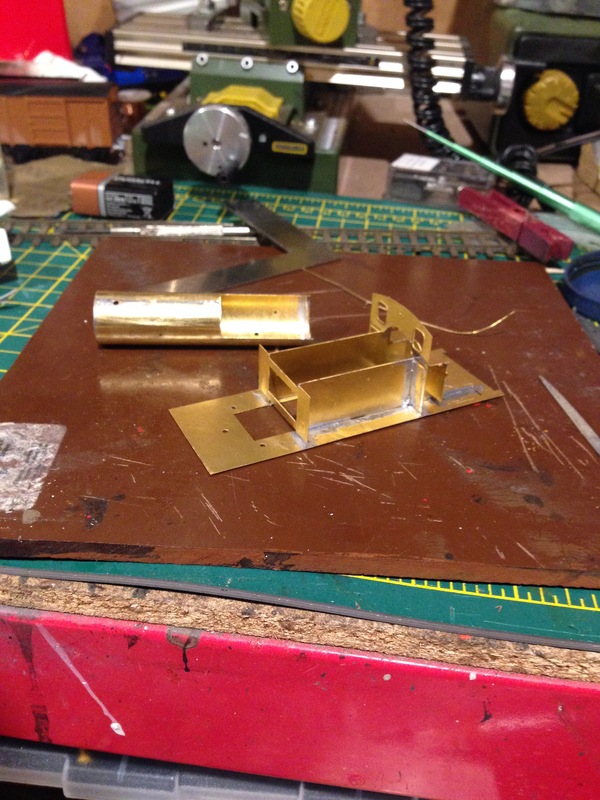 The tanks/sides and boiler have been designed to bolt together in order to hold them in correct alignment to solder. 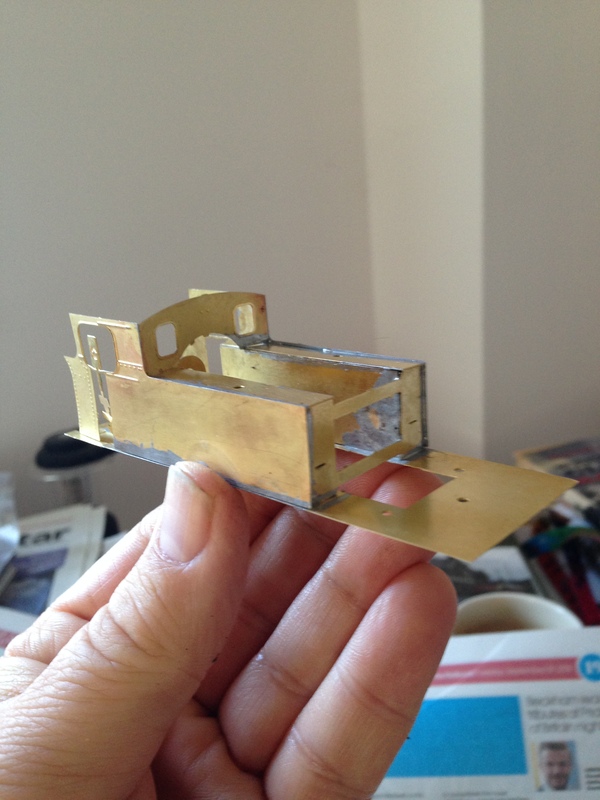 Slots and tabs are well executed and assist in making all sub assemblies nice and square. Care is still required though but if you take your time and prepare each stage, this kit won’t cause you any real angst. 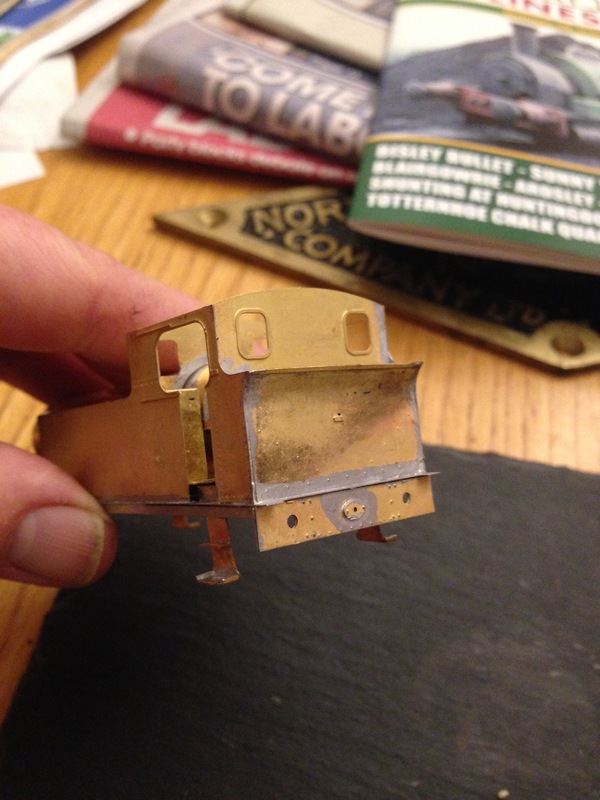 So far, despite only one previous and as yet incomplete etched loco under my belt, I am enjoying every second spent building this kit. In fact I have to make myself stop rather than keep going all night with it! Well, in the days when Scotland was heavily industrialised, the term was widely used when referring to the squat, powerful shunting engines that were employed in the mines, ironworks and docks. ‘Puggy’ is also the word for ‘toad’ in the Scots language, akin to ‘Puddock’ in old English. EDIT: Having consulted a very reliable source I have to offer a correction to the above; ‘Puddock’ is in fact the Scots word for toad and is not Anglo-Saxon as I mistakenly believed. Further to this, it appears that the earliest recorded use of ‘Puggy’ in fact refers to a small monkey although no evidence has been offered of any Caley 498 dock tanks ever having been fuelled by bananas. My thanks to Paul (Wee Ginger Dug) Kavanagh for the above information. So there you go. Not only do you get to see the result of three nights’ work at the bench, you also learnt something about industrial history and language! ← Another pair of offerings. Lovely kit and coming on well, you know my passion for all things industrial! As a kid my granny used to refer to the the railway at Polmafie as the Puggy Line. Move on a generation, when dad asked me if I wanted to go spotting it was put as ‘fancy going down the Puggy Line?’. Move forward to my wee boy and it’s still know as that! It’s only the west coast mainline, hardly pug material! Only when I investigated the maps on the NLS of the area did I realise how many industrial and mineral lines actually surround that area, all operated by pugs, Dixons Blazes, White Chemicals, Stewart and Lloyds, Caledonian Pottery, several Brickworks and Collieries(14 in Rutherglen and surrounding area), what a railway as well as industry Scotland had in its heyday, all intrinsically linked. It what my granny knew. Incidentally she used to talk about seeing ‘The Cardean’, aye what a railway we had! It’s a gorgeous kit isn’t it Dave ? Everything fits just as it should, everything has been thought through and the more awkward bits are all self jigging. I really must finish mine ! “Puddock” is the term I know for frogs/toads in Ayrshire usage. Never heard the “puggy” form but that’s probably as the local dialect is dying out. Pleased to read the positive build reports, I’ve long fancied this kit. Paul could probably enlighten us on the correct use of ‘puggy’! I think you’d probably enjoy this kit too. Puddock is the term I’ve always known up here in Angus. Like Jamie, I’ve never heard the “puggy” form, and neither has “The Concise Scots Dictionary”, although they do say that “paddy” is another form. Mind you, the Concise Scots isn’t infallible. I’ve tried one High Level kit, the wee Hudswell Clarke. It took me a very long time and won’t run. My own fault for buying the smallest kit in the range – the driving wheels are smaller than coach wheels and are virtually impossible to adjust. Interesting on a number of accounts, David. Happy to stand corrected on Puddock then – I’d always been under the impression that was Anglo Saxon. Makes me wonder as to the true origin of ‘Puggy’ then. I thought in this case, ‘puggy’ was just the diminutive form of ‘pug’ i.e. tank engine. 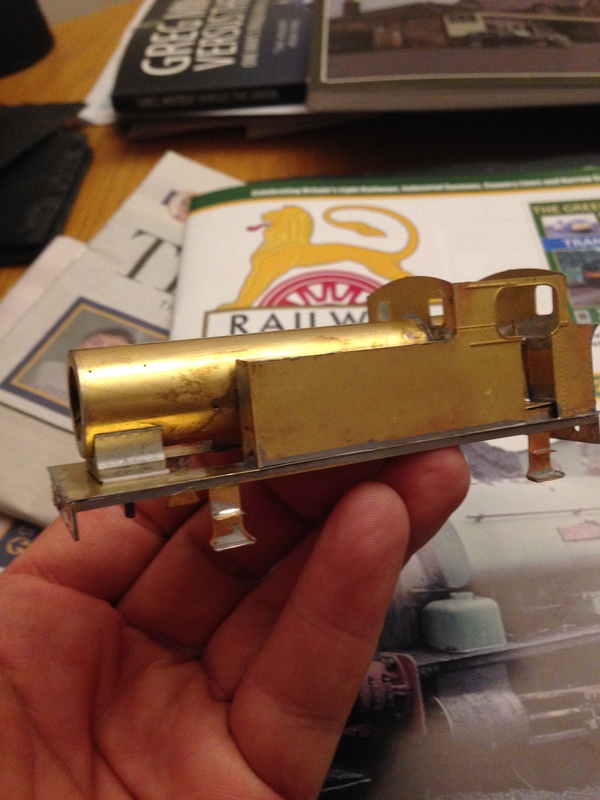 ‘Pugs’ could be pretty big – the Caley 4-6-2Ts were known as ‘Wemyss Bay Pugs’, and I’ve seen a Fairburn tank referred to in print as a ‘Big Pug’. About the animal meaning of ‘puggy’, I always thought it was a name for a monkey. There was the expression ‘drunk as a puggy’ (which I once heard used in reference to a Scottish international footballer in a Yorkshire pub). It also came to be used in reference to a fruit machine (don’t ask me why) and, by asociation, I’ve heard it applied to an ATM. Anyway, about the subject puggy – looking really nice. What is it going to be finished as?